Under OSHA’s injury and illness recordkeeping rule at 29 CFR Part 1904, most employers are required to maintain records of work-related injuries and illnesses their employees incur. (Very small employers and employers in certain low-hazard industries are exempt.) These requirements are not new; however, many organizations struggle to understand and apply all the nuances of the standard when it comes to determining whether a case is recordable, how to record injuries and illnesses that affect contractors and temporary workers, and how OSHA’s requirements overlap with and diverge from state workers’ compensation laws, to name just a few of the many common points of confusion. And with recent developments around severe injury reporting and electronic recordkeeping, mistakes can be more costly than ever for employers. Historically, injury and illness records have been primarily internal documents. OSHA compliance officers would review them at individual establishments as part of the inspection process, and some employers were periodically asked to submit them to the government for research purposes, but OSHA did not receive the vast majority of employers’ injury and illness data. But beginning in 2015, a series of revisions to Part 1904 steadily increased the flow of information on workplace injuries and illnesses to OSHA. First, in 2015, a rule took effect that imposed stricter requirements for the reporting of fatalities and serious injuries. Under the previous rule, employers were required to report both fatalities and incidents resulting in the inpatient hospitalization of 3 or more workers to OSHA within 8 hours. Under the revised standard, the fatality reporting requirement remained unchanged, but employers were newly required to report all inpatient hospitalizations of one or more employees, amputations, and eye-loss incidents to OSHA within 24 hours. The new requirements dramatically increased the number of severe injury reports OSHA received. In just the first year of the new reporting requirements, federal OSHA received more than 10,000 reports of severe injuries. Responding to the influx, the agency created a new inspection method called the Rapid Response Investigation protocol. Under this strategy, rather than sending a compliance officer to investigate every severe injury report in person, a triage system was implemented that allowed certain cases to be handled by directing an employer to conduct a root cause analysis of the incident that led to a severe injury and submit the results, including evidence of corrective actions, to OSHA. An inadequate response could open the door to a full in-person inspection. 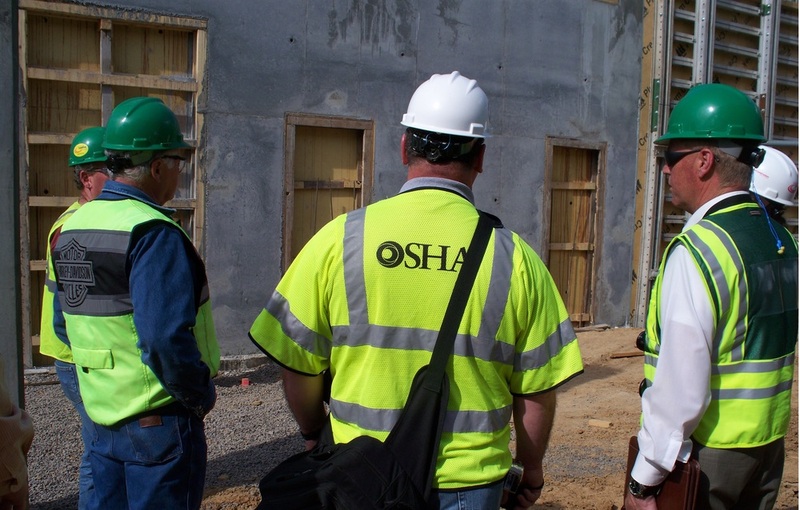 OSHA hailed the rule change as a success, stating that the new reporting requirements gave the agency timely information about where and how severe workplace injuries were occurring, allowing it to better target its enforcement and outreach efforts, and created opportunities for employers to work with the agency to prevent future incidents. If the severe injury reporting changes started the flow of workplace injury information to OSHA, the electronic recordkeeping requirements that were finalized the following year opened the floodgates. The 2016 rule required establishments with 250 or more workers to submit all three OSHA injury and illness recordkeeping forms—the 300 log, the 301 incident report, and the 300A annual summary—to OSHA electronically each year. Establishments in certain high-hazard industries with 20–249 employees were required to submit the 300A summary form only. OSHA stated that it planned to post the injury and illness data, stripped of personally identifiable information, on its website in an attempt to shame employers into improving their safety performance. The agency also said data received under the rule would be used to help the agency more effectively target its enforcement resources. 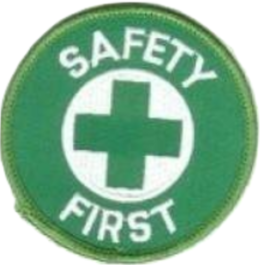 The rule was controversial from its start, with safety professionals and industry groups alike claiming it would lead to underreporting of injuries and an overemphasis on lagging indicators, considered by many safety professionals to offer a view of safety performance that is incomplete at best. Stakeholders also claimed the public shaming and enforcement targeting OSHA promised were contrary to the agency’s longstanding characterization of the injury and illness recordkeeping rule as a no-fault system. By the time the first electronic submission deadline rolled around, in 2017, the new presidential administration had reconsidered some of the rule’s provisions. The requirement for large establishments to submit OSHA 300 logs and 301 incident reports was never enforced. In January 2019, OSHA published a final rule officially rescinding those requirements. However, affected establishments are still required to submit data from their 300A annual summary forms by March 2 each year, and those requirements appear to be here to stay. At the end of 2018, OSHA announced its new Site-Specific Targeting program, which drew upon calendar year 2016 data OSHA received under the electronic recordkeeping rule to identify establishments for comprehensive inspections. Employers with higher than average rates of injuries and illnesses resulting in days away from work, restricted work, or job transfer (DART rates) comprise the primary group of targeted establishments. OSHA also plans to inspect some establishments that were required to submit injury and illness data electronically but failed to do so, as well as a smaller group of establishments with below-average DART rates as a statistical check on the validity of the data. With civil penalties for OSHA violations now topping out at $132,598 for a single violation, and with OSHA’s new expansive access to businesses’ injury and illness records, the stakes and potential consequences of injury and illness recordkeeping mistakes are higher than ever. OSHA has indicated that it intends to continue to use the data it receives under the electronic recordkeeping rule, combined with severe injury reports, to develop and refine its enforcement strategies. Recordkeeping mistakes or red flags in an employer’s injury and illness data can now lead OSHA right to your door.